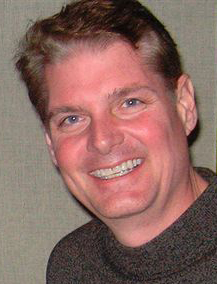 Note: Voice legend Don LaFontaine passed away on Sept. 1, and among the outpouring of tributes and memories is the following by voice actor Tom Kane, who recalls his friend as "The best that will ever be." You may not have known him. But you knew him. Don LaFontaine passed away today. He was a father, a husband, and - last on the list, I assure you - a voice-over legend. Twenty years ago, I was voicing promos at NBC, trying to deal with the emotions of sitting in a chair that was still warm from Don LaFontaine and Townsend Coleman - and trying not to embarrass myself while "The Don" was waiting patiently for me to finish ... for me to do in five takes what he could have done in one. Then, after he sat down and completely blew me away, he invited me to go to lunch with him - in the fabled limo. I tried hard to hide the fact that I was walking away from my beat-up "K-Car" toward his signature transpo. If he noticed, he didn't comment. What he did say, was that he thought I might actually make a go of it as voice-over guy. And like a very small number of us so blessed, I did. Over the years, we became friends. And as only a tiny handful of us in the entire world can claim, we became competitors. But as Andy, Dave, Jonathon, Ashton, George, Beau, Al, Scott and the rest all know, while we may have shared the field with him, there was never any real competition. From the days when - as a writer and producer - he literally created the modern concept of the movie trailer - to when he single-handedly voiced over half the trailers in the entire industry AND squeezed in promos for half a dozen networks, he was in every aspect, "The Don" - Our Patriarch. My favorite Don story was when I was hired to do the trailers for Tombstone. As happened about 10 times a day back then, the studios said, "We need to use someone else. Don is on EVERYTHING!" So they had me do the entire campaign. Until the reviews started coming out. And they were not good. The cry went out from the boardroom, "Get Don LaFontaine!" Imagine that: a gazillion dollar movie ... with huge stars ... a big director... with an advertising budget bigger than it took to make Star Wars. But MAYBE, just maybe, if Don LaFontaine did the trailers, it might actually save the movie. Don did the trailers until Siskel and Ebert's review panned it. Then they went back to me to save a few bucks. Because if Don couldn't save it, it didn't matter who voiced the rest. We laughed about it over lunch a few weeks later. He shook his his head in wonder at how, in his own words, "I guess I've become some sort of talisman." Don was exactly that, for all of us. A Talisman. Of what what we could dream of being someday - and what we all knew, and know to this very minute, we will never equal. He was, quite simply, the best that will ever be. 'Nita, girls - we cannot know the full hurt of your loss. But know that he touched our lives, as well. And we will miss him greatly.